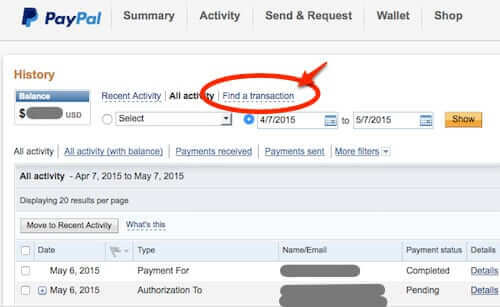 With the new Paypal interface, you may be wondering just “where the hell is my Paypal history?” And more specifically, “how can I search my Paypal transaction history for an email address, a name, or a transaction or other ID,” like you used to be able to do? 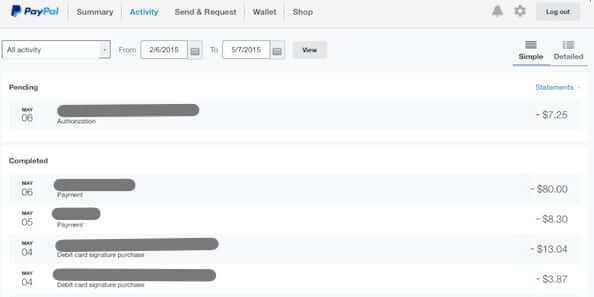 If you are trying to find your Paypal history, here’s how to find and search your Paypal history with the new Paypal dashboard. Now, you may think that you would find your history under ‘Activity’, and you would be wrong. And clicking on ‘Statements’ doesn’t get you any closer to your Paypal history either. 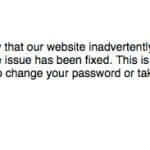 So, just how do you get to your Paypal history now? The secret is waaaaay down at the very bottom of the page when you are logged into Paypal. 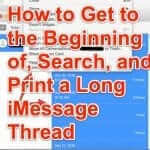 This will take you to the old, familiar Paypal history interface, where you can search your history by email address, name, transaction ID, etc.. While you’re at it, if you feel – as do we – that it is ridiculous for Paypal to have made it this difficult to find and search your history, of all things, you may want to use that ‘Feedback’ link to tell them so. With the new Paypal interface, you may be wondering just "where the hell is my Paypal history?" 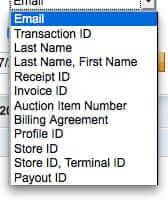 And how can I search my Paypal transaction history for an email address, a name, or a transaction or other ID, like you used to be able to do? Victor – just go to ‘Activity’ in Paypal and adjust the dates to encompass January 1 through the current day. I’m seeking a history of all my paypal transactions in the year 2019: is this possible? Will you be so kind as to post that on my email soon? 09-11-2018 What is the current wisdom of how to find a history of my paypal transactions/donations/additions/subtractions? to whom can I address this at paypal? The classic site option has disappeared now. No eBay purchases made in the last 7 weeks are shown but non-eBay payments are. a program that is simple and that we can all use. In the mean time please send me instructions on how to do get in to my account. So this is great info BUT now PP is saying no more classic… so how do you search history in the “new” PP interface? I find many spots to search but the data isn’t found. So in old find by Email my customer has transactions, in the new PP same period show none??? Very good article. I have not wanted to look at my PayPal history but if I did I would not have been able to find it. I look forward to the weekly secrets and updates from your website. Keep up the good work!